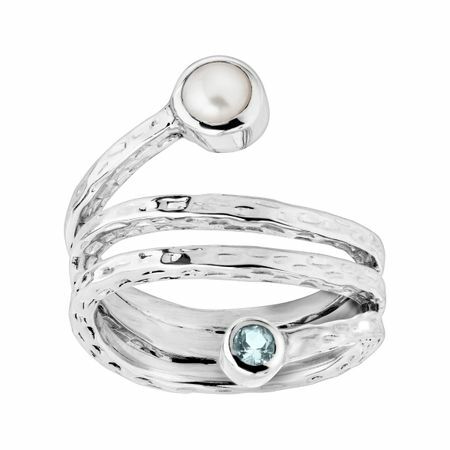 Cruise the open ocean with this airy ring. This piece is part of our Balinese Collection, inspired by the beauty of Southeast Asia and handmade in Bali using ancient silversmith techniques. Ring face measures 15/16 inches in width. Piece comes with a “.925” sterling silver stamp as a symbol of guaranteed product quality.